For twelve years, the world has been without its children. Tough decisions are always made during wartime and sometimes strange ones, as with the Freds’ unusual choice.Take the children from the warring people, raise them to be peace loving citizens, and then return them. All will be well in the world. It’s an interesting psychological idea, although it doesn’t work in the book, at least not in the first one. 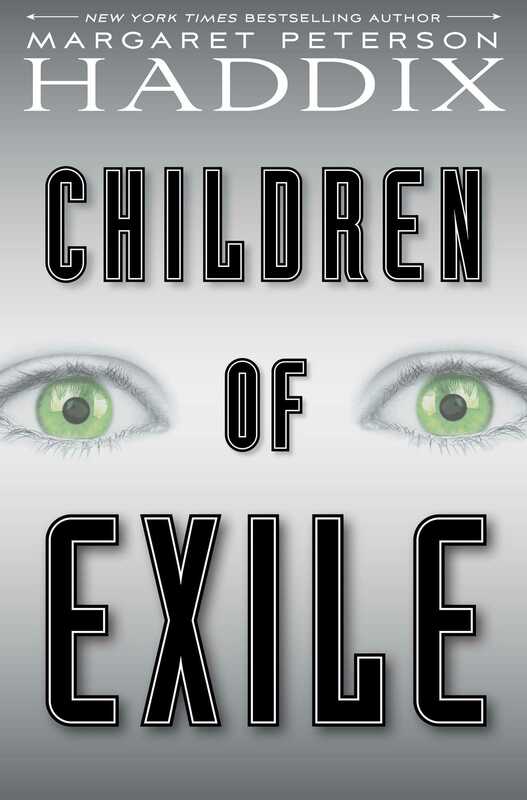 Children of Exile takes on the fight between the green-eye people and the dark-eyed people. Their fight is what caused the Freds to take all the children from both sides from birth and raise them in places called Fredtown. I have to pause for a moment and just ponder. Why in the world do we have a group of people named “the Freds”? Of all names, why that one? It’s still a mystery to me. Anyway, the story, written in first person, is about twelve-year-old Rosi. She loves Fredtown, her Fred parents, and her baby brother, Bobo. Her practically perfect world is shattered when the Freds tell all the children they will be returning to their real homes and to their real parents. It’s up to Rosi and Edwy, the oldest children, to look after the others. However, Rosi hasn’t been talking to Edwy for a year. He doesn’t follow the Fred rules and causes trouble. So she has nothing to do with him anymore. Being that we’re reading Rosi’s thoughts, we learn very quickly what values the Freds teach in Fredtown. Over and over we learn what good qualities every child should have: kindness, generosity, willingness to help others, resistance to using words like idiot, self-control, and most importantly, gentleness--no violence. The children are in for a rude awakening. They are returned to a cruel, war torn town where half the population have missing limbs and where hatred soils the air. Shortly upon arrival, Rosi is called an idiot, slapped by her mother, and told to go to bed without dinner for saying cooking dinner isn’t just women’s work, it’s everybody’s job! Needless to say, Rosi is in turmoil from facing this new “reality.” She can’t seem to catch a break as she notices that the green-eyed people and dark-eyed people hate each other. And guess what, she has green eyes. I’ll wager you can guess at some of the deeper, underlying issues Margaret Peterson Haddix weaves into the story. A few answers and some surprising twists come at the very end of the book which presents a deja-vu moment from The Giver. It does sound a little heavy-handed on the message. And an odd cover for a children/YA book! Thanks for the honest review! Thanks for the review, Julie!